I’ll run out of turtle pictures pretty quickly. So not to worry! This entry was posted on 07/09/2015 at 08:48 and is filed under Photos. You can follow any responses to this entry through the RSS 2.0 feed. You can leave a response, or trackback from your own site. Turtles are a fun things to photograph. 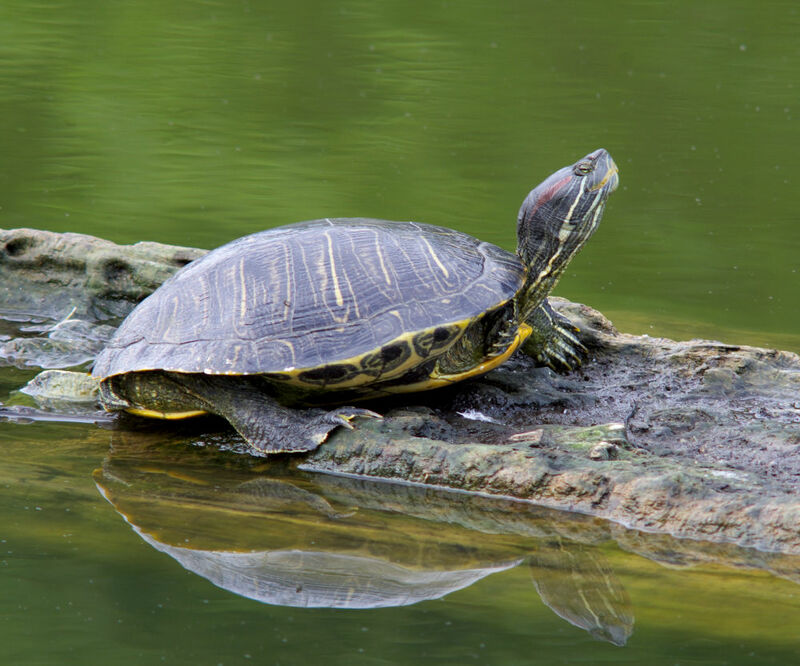 Great picture of a red eared slider. Thanks. And thanks for identifying him. I’ll have to do some research and learn more about them. Your welcome. Our kids always had this kind for pets you know the ones in the pets stores that are about a quarter size at the most. Well they can only get as big as their container is. Yep. I know the pet store turtles. Now they have a name. Thanks.